Breastfeeding benefits both infant and mother, including reducing the risk of Sudden Infant Death Syndrome (SIDS). To further reduce risk of SIDS, the American Academy of Pediatrics recommends infants sleep on their backs on a separate sleep surface. Our objective was to describe trends and factors associated with breastfeeding and infant sleep practices in Georgia. Pregnancy Risk Assessment Monitoring System 2004–2013 data were obtained from the Georgia Department of Public Health. Chi square tests for trends were utilized to determine whether there were significant linear trends in breastfeeding and infant sleep overtime and by survey phase. After exclusions, 4643 cases remained for analysis. From 2004 to 2013, there was a slight (insignificant) decrease in breastfeeding initiation, with the highest proportion in 2010 (79.9%) and the lowest in 2013 (66.9%). Rates of exclusive breastfeeding increased significantly from 2004 (31.3%) to 2013 (81.7%). During that time, the proportion of infants being placed back to sleep slightly decreased (though not significantly), from 59.7 to 48.9%. The proportion of mothers who reported never bed-sharing increased significantly from 26.7 to 45.1% over this period. The decreasing breastfeeding initiation rates in Georgia diverge from national upward trends, however, exclusive breastfeeding rates by survey phase were slightly higher than national trends. Our results suggest the need for targeted education and support for breastfeeding and safe sleep practices. State-level trends data on breastfeeding and infant sleep practices provide valuable information for state-level public health professionals and policy makers, health care providers, and breastfeeding and safe sleep advocates. Georgia Pregnancy Risk Assessment Monitoring System (PRAMS) data were collected and provided by the PRAMS Project in the Maternal and Child Epidemiology Section of the Georgia Department of Public Health (DPH). The Centers for Disease Control and Prevention Cooperative Agreement grant number 1U01DP006194 provided funding to DPH for data collection and some staff support. We also acknowledge The PRAMS Working Group. The authors also acknowledge the efforts of Mumbi Mwaura, MSW, MPH. 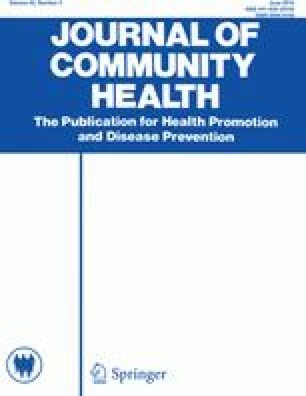 This study was reviewed and approved by the Georgia Department of Public Health and the University of Georgia Institutional Review Boards. United States Department of Health & Human Services. (2016). Healthy People 2020. Retrieved from http://healthypeople.gov. CDC. (2016). PRAMStat PRAMS data query system. Retrieved from http://nccd.cdc.gov/PRAMStat/. UNICEF. (2013). Facilitator guide: The community infant and young child feeding counselling package. Retrieved from https://www.unicef.org/nutrition/files/Facilitator_Guide_September_2013.pdf. Centers for Disease Control and Prevention (CDC). (2014). Pregnancy Risk Assessment Monitoring System. Retrieved from http://www.cdc.gov/PRAMS/. Georgia Department of Public Health (DPH). (2017). Pregnancy Risk Assessment Monitoring System (PRAMS). Retrieved from https://dph.georgia.gov/PRAMS. CDC. (2017). Nutrition, physical activity and obesity data, trends and maps. Retrieved from http://www.cdc.gov/nccdphp/DNPAO/index.html. National Conference of State Legislators (NCSL). (2017). Breastfeeding state laws. Retrieved from http://www.ncsl.org/research/health/breastfeeding-state-laws.aspx. AAP. (2005). The changing concept of Sudden Infant Death Syndrome (SIDS): Diagnostic coding shifts, Controversies regarding the sleeping environment, and new variables to consider in reducing risk. Pediatrics, 116(5), 1245–1255. https://doi.org/10.1542/peds.2005-1499. Weimer, D. R. (2005). Summary of state breastfeeding laws and related issues: Congressional Research Service report for Congress. Retrieved from Congresswoman Maloney’s website: https://maloney.house.gov/sites/maloney.house.gov/files/documents/olddocs/breastfeeding/20050519_CRS_State%20Laws.pdf. Georgia DPH. (2016). Georgia 5-STAR. Retrieved from https://dph.georgia.gov/georgia-5-star. Georgia DPH. (2017). Georgia Safe to Sleep Campaign. Retrieved from https://dph.georgia.gov/safetosleep. UNICEF Baby Friendly Initiative. (2012). Caring for your baby at night: A guide for parents. Retrieved from https://www.bristol.gov.uk/documents/20182/32995/caringatnight_web_0.pdf.